Welcome to the September 2014 newsletter! Well, this month we have a very large panel of books concerning many points of our urban life: beer, exploration, photography, prison (usually going in this order...). A special mention to Wild Concrete by French photographer Romain Jacquet-Lagrèze for his book on trees taking root on buildings in Hong Kong. 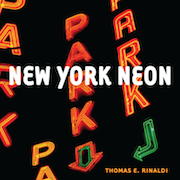 Our backlist book will be New York Neon, a great visual tour and a documentary inventory of historic (generally pre-1970) neon signs found in the five boroughs of the City of New York. Comprehensive overview of the 10×10 Japanese Photobooks project. Exploring the world of the craft beer. Urban Exploration by the London Consolidation Crew. Exhautive inventory of jails in France. Photographs of trees taking root on buildings in Hong Kong by Romain Jacquet-Lagrèze. Copyright © urban-resources.net - September 2014 - All rights reserved.